My son and I are hunkered down on a small incline above a heavily armored Barroth, eyeing it warily and discussing our game plan. “He does this crazy thing where he rolls in the mud. You have to watch for it. It makes his armor stronger,” he warns. “All right,” my son says, “let’s do it.” He fires off the first shot, startling the quiet monster. I dash into battle, immediately slashing and hacking at the hapless creature before he has time to react. It does not go well. The Barroth immediately turns on me, and I’m too old and slow to dodge out of the way before the mammoth creature sends me flying across the swamp with a vicious headbutt. The Barroth turns on my son and charges, kicking up muddy water behind him as he rages towards the irritating speck that is offensively plinking away at him with an ineffective gun. “I’m coming!” I yell, as the jolt of impact wears off and I regain my senses. 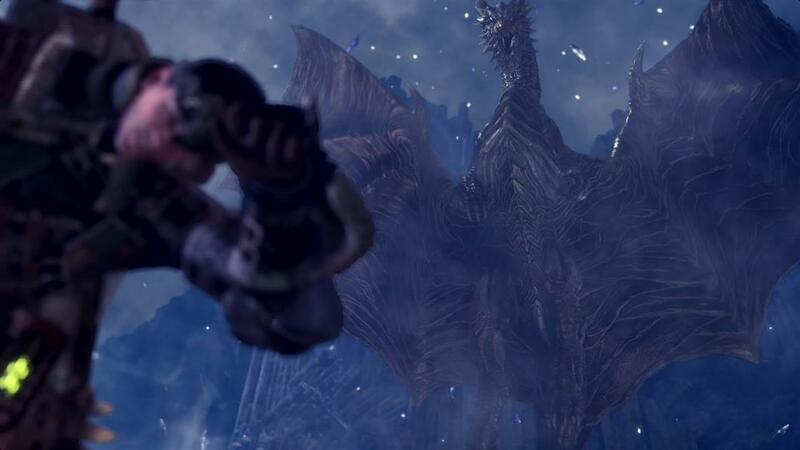 I dash back towards the battle, where I see that Barroth is busy stomping my son into the mud. One minute into the battle, and it looks like we are already done. Suddenly, from seemingly out of nowhere, a new figure appears on a small mesa that is sticking out of the mud. He is dressed in armor that is clearly far beyond anything we have been able to afford or build. Without a word, this figure jumps onto the back of the Barroth and begins plunging his oversized sword into the hapless creature’s back. My son and I let out a collective cheer. “He’s like a superhero!” my son replies. 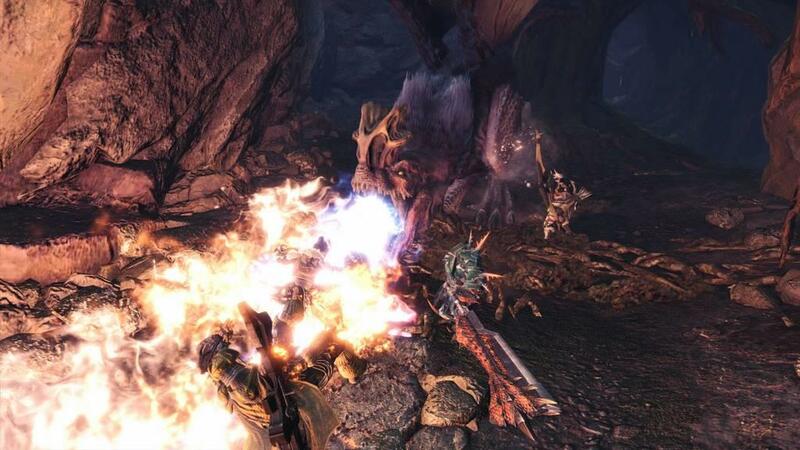 The Barroth cries out and bucks wildly, trying to shake the mystery man off and stop the carnage. But the guy has a tight grip, and he doubles down his attack, mercilessly hacking away at the unfortunate creature. My son and I lunge back into the fray, the tide of the battle now clearly swayed in our favor. In a matter of minutes, it is over. The Barroth lays half submerged in the mud, defeated and still. The mystery man gives a wave and disappears again as quickly as he came. My son and I move to start looting the Barroth corpse as quickly as we can, laughing the entire time about the crazy thing that just happened. Put all of your reservations aside. Monster Hunter: World is one of the most engaging games I have played in years. I came to World as a Monster Hunter neophyte. 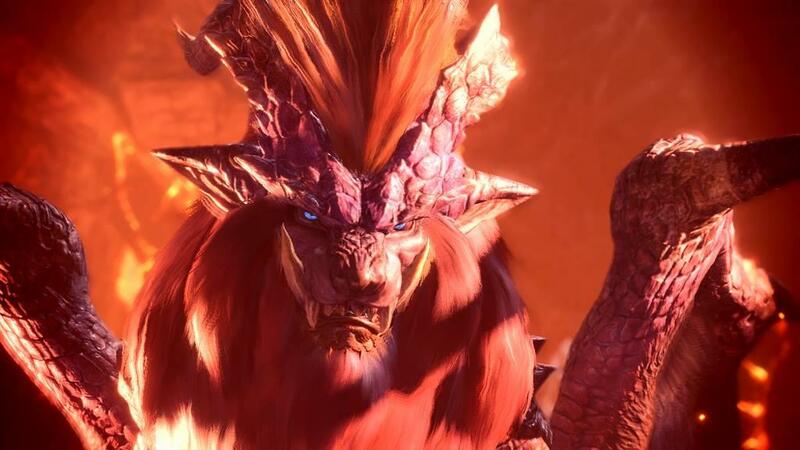 I’ve attempted to engage with the Monster Hunter franchise twice in the past, and in both cases the impenetrable systems caused me to bounce off the game like a rubber ball. Why did I have so many weapon choices? Why did I have to eat food every time I went out into the field to hunt? Why did I need all this honey? What was with that weird cat? 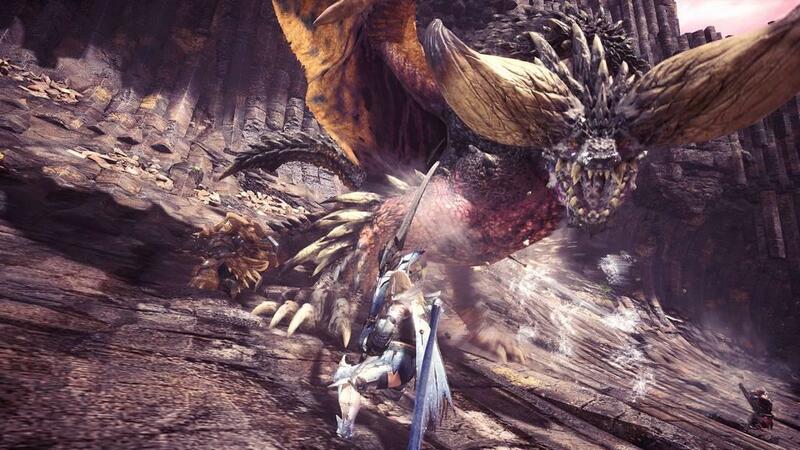 With Monster Hunter: World, it all finally clicked for me. I don’t need to use every weapon, I just need to find one that I like and play with it until I want to try something new. The food adds stat boosts which help me in battle and make everything go much more smoothly. The honey converts my potions into stronger versions of themselves, which makes it crazy useful. And that weird cat is my “Palico.” I have named him Simon Muggets, and he is awesome. I have constructed many fancy hats for him. I’ve often heard that to really engage with Monster Hunter, one needs to have an experienced friend introduce them to complexities of its intricate systems. A spirit guide, of sorts, who will explain exactly what is going on, and help a new player become acclimated to this storied franchise. I am happy to report that in the case of Monster Hunter World, players will be able to jump in feet first, and explore the systems at their leisure until they are comfortable. Yes, Monster Hunter: World is deep, with systems nested within systems. However, these systems are rolled out to the player at such a natural and measured pace that the increase in complexity is almost imperceptible. It is also possible to completely ignore many of the systems when they are introduced until you are ready to engage with them. When you finally do, you will likely realize how neatly these systems snap into place with the rest of the game, and wonder why you waited so long. The bottom line is that Monster Hunter: World is accessible to the point where I feel like the franchise’s older titles (the ones that bewildered me so badly) have now clicked into focus for me. I get it now. I finally get it. 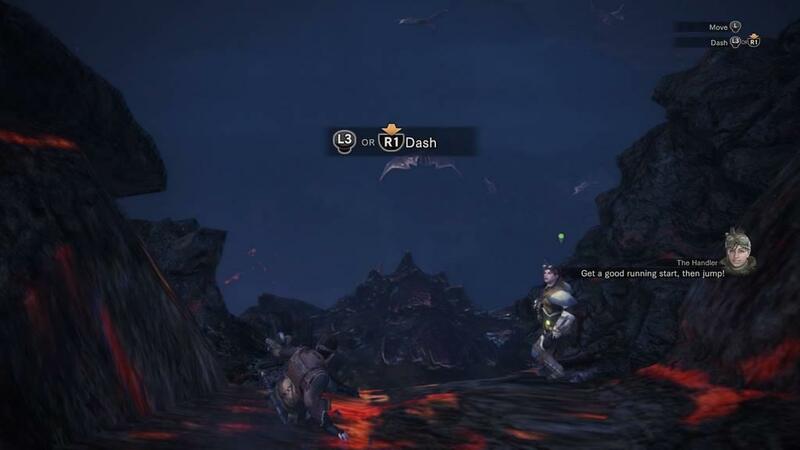 The most important thing that I have taken away from my time with Monster Hunter: World is that it is okay to relax. This is actually a very forgiving game. Nothing bad will happen if you mess up. If you fail a quest, you can just try again. If you miss collecting some resources, they will always be there later for you to grab. Don’t like your weapon? Grab a new one. Don’t like the modifications you made to your new weapon? Roll them back. Having trouble with a particular monster? Fire off a flare, call in the community for help. The rewards in are plentiful, and even failed missions are rewarding, in that you walk away with greater knowledge about the monster that just took you down. The storyline is interesting, but inconsequential. 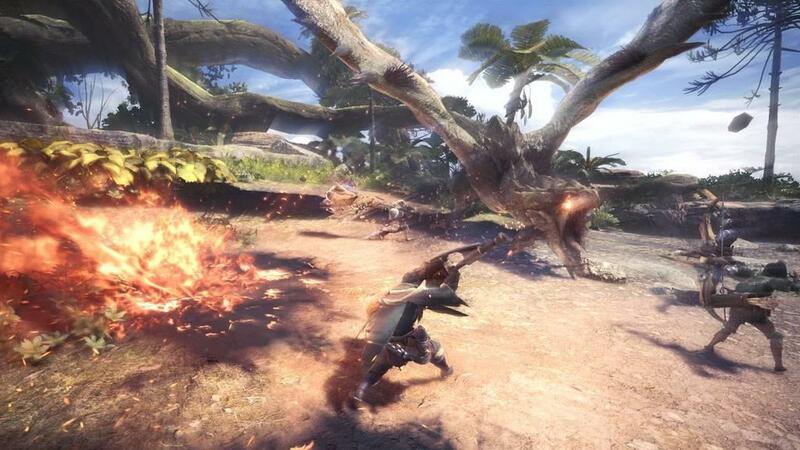 Basically, player characters are hunters that have recently arrived in the “New World.” They are tasked with a series of missions: to research and hunt down various monsters that are plaguing the efforts to settle this wild new land. 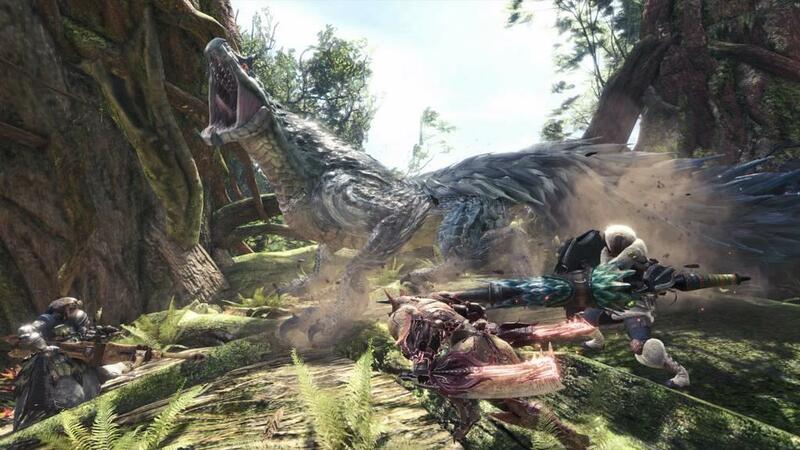 Before long, side quests start appearing, allowing players to learn about the flora and fauna in the New World, and how creatures and plants can be used to help on their monster hunting quests. The story serves primarily as a gate, slowly unlocking features and expanding the map in a way that doesn’t overwhelm the player. This world is crawling with life, and everything in it serves a purpose. Plants and bugs can be harvested for potions and ammo crafting. Smaller, seemingly unimportant creatures can be captured and kept as pets in the player’s in-game home. Larger creatures can be harvested for food and leather. And of course, the monsters themselves can be looted for material to construct weapons and armor. What is incredible is how all of this comes together. Each monster is unique, and their behavior is an interesting mix of lifelike reaction to stimuli and scripted moments. The world is amazingly alive, so unexpected interactions occur with mind-blowing frequency. I've hunted the same monster six times, and none of those times were exactly alike. In battles that can last up to a half hour, there is a lot of opportunity for things to change players’ carefully calculated plans. Often times, other monsters cross paths with your battle, and everything shifts. Sometimes they join you in attacking the creature you are fighting, but they are just as likely to turn on you, and you find yourself suddenly in waters that are way over your head. To say that the battles are dynamic is a massive understatement. 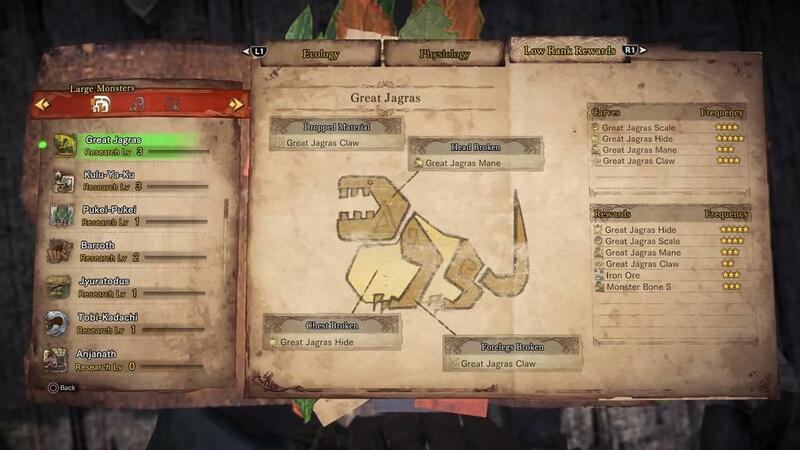 While Monster Hunter: World is a fantastic game, there is one area that might have players new to franchise scratching their heads. While there is a strong multiplayer component, new players should understand that there is a unique system that takes some time to get used to. In many ways it plays like a single player game, but with multiplayer components. Either way, don’t expect to play through the story together with friends, at least not in the traditional, Destiny-style manner. When the player enters the game, they have the option to enter someone else’s instance, or create one of their own. Each instance of the game can contain up to 16 players. While you are in game with 16 others, you do not see them in your home base/mission hub. Rather, you and these 16 players can drop into each other’s missions, up to four at a time. Players can only drop into story missions they have already defeated. In the example I used at the beginning, I started the quest to take down the Barroth. My son, who had already beat the mission, was able to drop in to help me. Then the third, high-level player saw in the quest UI that we were on the mission and decided to drop in to help us for fun. This quest structure created a dynamic where my son and I were playing through the game in tandem, chatting happily in a party about where we were, what we were doing, and discoveries we were making. When one of us got too far ahead of the other, we would dip back to help the other catch up. While not traditional, this made for a unique and engaging multiplayer experience. It is important to note, however, that initially finding your friends in the game and linking up to play can be difficult. I had some trouble getting into a game the first time with my son. Once we had played together, we were able to link up easily for further play, but the initial setup was fairly complicated, involving the entering of an alphanumeric code in order to sync our games. This dynamic struck me as needlessly clunky, given the strong social networks already in place on today's consoles. When choosing to enter a quest, players are given a couple of options. They can start one of their own quests, moving the story forward, or taking on a specific hunt for crafting materials. They can drop into someone else’s already-in-progress quest, which is great for hunting down creatures that you need for your new armor (or just to play superhero for some lower-level players). 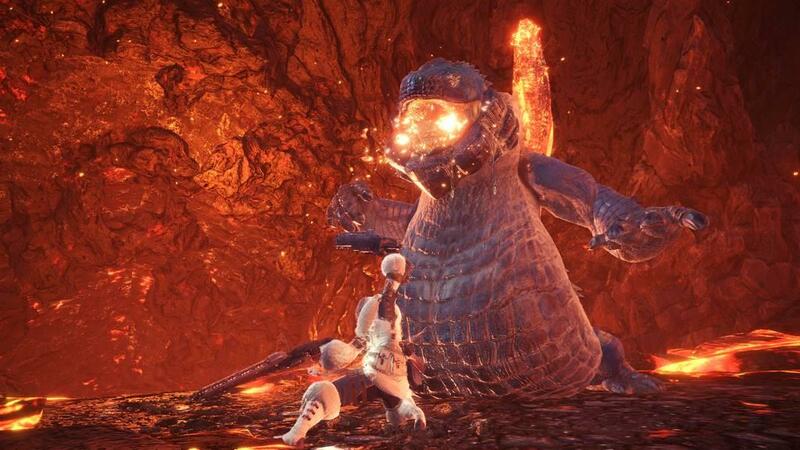 They can also answer an SOS flare, which is a cry for help from another player that might have gotten in over their head. There is also a social hub built into the home base, where players can gather to hang out and play some minigames. This area also houses an arena where two-player teams can attempt to take down monsters with predetermined gear sets. Doing so gains players materials for higher end gear. I can envision a certain subset of players grinding this arena to no end. 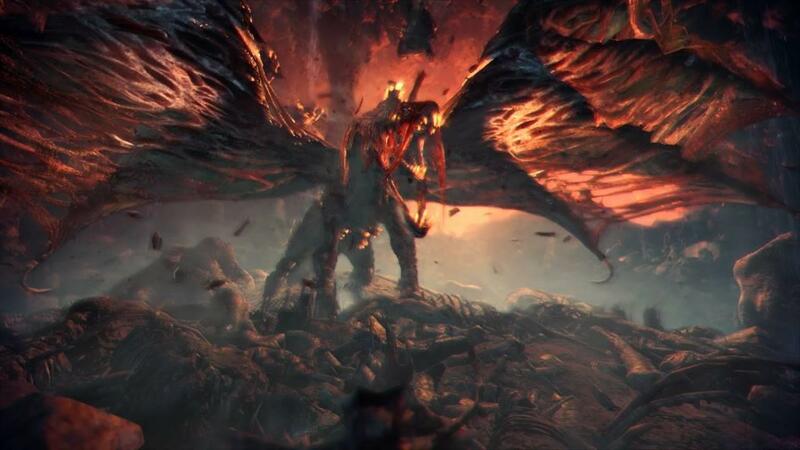 Monster Hunter: World is amazingly beautiful, and as the game revealed new areas, I was astounded by the ingenuity of the level and monster design. Secrets abound, and each hunting ground feels like its own fully realized environment. 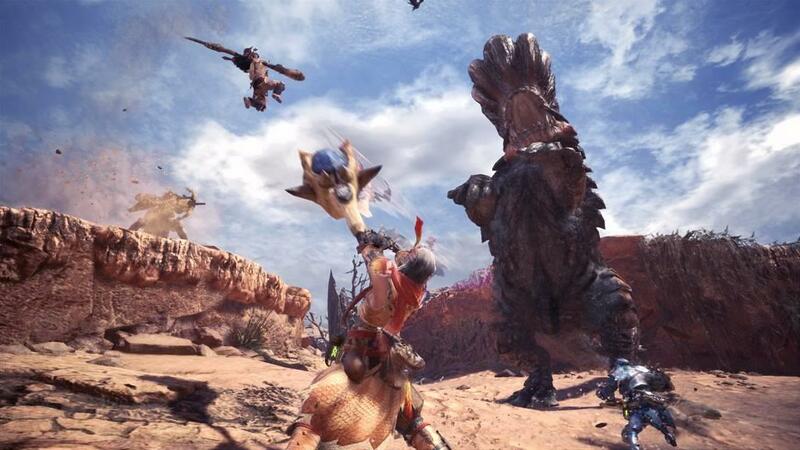 The development team clearly spent a lot of time polishing Monster Hunter, and never once did I experience anything that could be described as a “bug.” The feeling of immersion was never broken by any technical issues, which for a game this complex, is really saying something. It is also worth noting, in this day and age, that there is no sign of anything even vaguely resembling a loot box anywhere in this game. Monster Hunter, with all its looting and material gathering, seems like it would be ripe for this sort of exploitation. So, hats off to Capcom for making the decision to avoid gouging their loyal fanbase. There is frankly too much to say about Monster Hunter: World for one review. The scope and depth are astounding, and I feel comfortable admitting that I will be playing regularly for at least a year, maybe more. With a game this large, I would never try to convince readers that I have seen it all, rather, the fact that I feel like I have barely scratched the surface should indicate how sprawling this amazing world really is. I have greatly enjoyed my time with Monster Hunter: World. I can easily see it becoming my new World of Warcraft, my new Overwatch, my new Fallout. After the limited amount of time that I have had to spend with it, I happily place it in the top tier of games I have ever played. It is that rich. It is that deep. It is that good. Put all of your reservations aside. Monster Hunter World is a fascinating and beautiful game. MMO fans, action fans, RPG fans, and open world fans will all find something to love. This is a game that invites players in and gradually reveals its glorious depths. 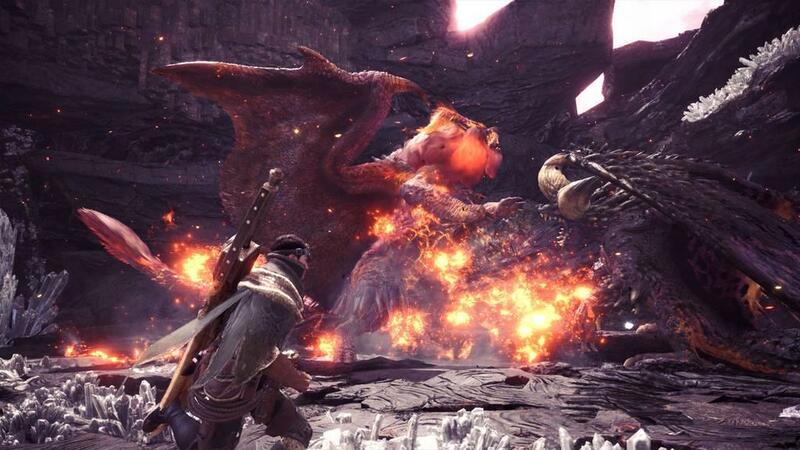 The unconventional multiplayer aspect might take some time to get used to, but the core loop of hunting monsters and crafting gear is so strong that even the most skeptical players will be snared by Monster Hunter’s hooks if they give it half a chance.